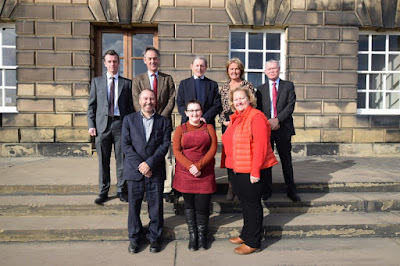 Wentworth Woodhouse Preservation Trust's (WWPT's) pool of expertise has been strengthened with the appointment of six new trustees. Established to secure a long-term future for Wentworth Woodhouse in Rotherham, the trust is now governed by a dozen trustees. Toni Paxford is learning the ropes as an apprentice trustee - and bringing the views and interests of young people to a board which from the off has included the Duke of Devonshire and Rotherham businesswoman Julie Kenny CBE, whose passion drove the £7m purchase of the historic Grade I listed mansion in May 2017. Toni is no stranger to making her voice heard. She is a former member of Rotherham Youth Cabinet and in 2017 launched Paige's Project, a support group for 11-25-year-olds with an "invisible" illness. Toni said: "Wentworth Woodhouse has always fascinated me. My grandparents and mum used to tell me stories of the house and the family and as a young person who is very active in the community my aim is to spark an interest with other young people." Julie Kenny, chair of the WWPT, added: "We are keen that the voice of the younger generation is represented at board level and are very proud to have Toni in our team. She is determined, driven and passionate. She will spend a year as an apprentice, learning the ropes, and then become a full trustee." Meanwhile, Henry Boot Construction boss Simon Carr has added his weight to the board. Simon has been with the Sheffield-based construction giant for over 30 years and was made its MD in 2009. He is also a non-executive director of Wildgoose Construction, Alfreton. Simon said: "I first heard of the good work being undertaken at Wentworth Woodhouse from Julie Kenny. I jumped at the chance to get involved in saving such a beautiful and important building. It was an absolute privilege to be appointed as a trustee." 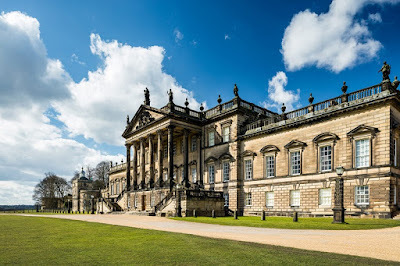 John said: "I am delighted to be able to use my professional experience to support Wentworth Woodhouse, a majestic building with a very important social history which I found out about just four years ago when I read the book Black Diamonds and took tours of the house." Also welcomed is Keith Knight, a specialist conservation architect for over 30 years. He is a former English Heritage historic buildings architect and a Building Conservation Officer for a National Park and a London Borough. Sarah McLeod, CEO of WWPT, said: "We now have an immense range of experience, knowledge and support in our board of trustees. We are extremely grateful for their time and commitment. They give us a very strong core foundation as we build Wentworth Woodhouse's future."